Provide comfort for the family of Thomas Michnal with a meaningful gesture of sympathy. Charming, handsome, funny, witty, protective, punctual, and hardworking; these are all qualities our Dad was known for. When he took on a project, the wheels would start turning in his head, and if he thought about it, he accomplished it. His work energy was tireless, driven, ambitious, meticulous and he never left a project unfinished; his busy mind wouldn’t let him. He never resisted the opportunity to have a laugh with friends and loved ones and he had more one-liners than anyone you’ll ever meet. Dad grew up in Poplar Bluff Missouri. Once he moved away from his family, he enjoyed phone calls and occasional visits with Grandma Ada, Grandpa Gene, his brothers and his sister Dolores. Dad and his brothers created a tight bond in their younger years. Good looking boys, constantly getting each other into trouble and of course relying on each other to bail them out of situations caused by their tendency to fall into mischief. Their love of fishing and hunting reinforced an undeniable bond between the brothers, his son-in-laws, his son Brent and his nephews. They enjoyed trips hunting bear, elk and deer in Montana and fishing in Alaska. Dad saw a lot in his lifetime. He served in the armed forces. Later, he raised his own family. 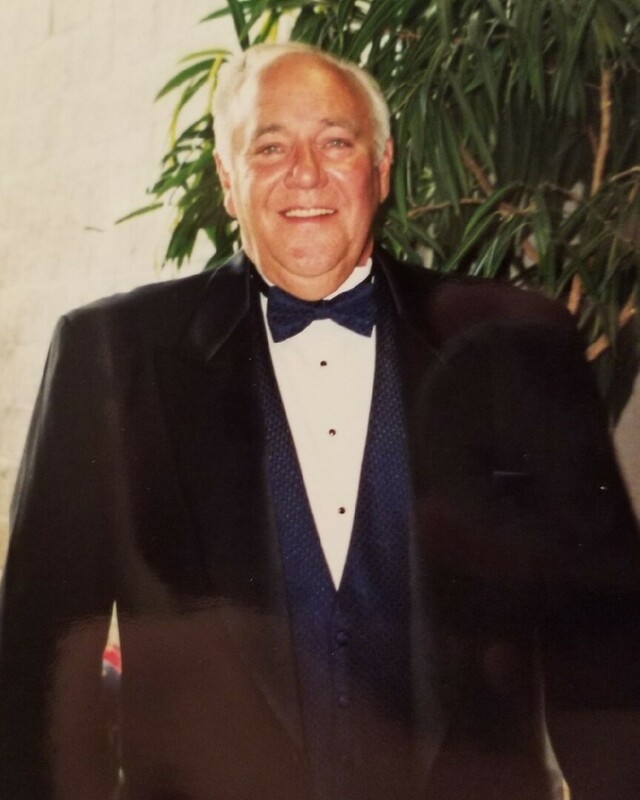 He had an entrepreneurial spirit and found success in owning businesses from construction management, or his own home building projects, heating and air conditioning to car lots to restaurants. He had no fear of failure. He was often happiest when he kept busy whether it was building something or fixing up one of his cars. His Favorite car was 1964 Red GTO Mustang. He was a self-professed fisherman, and loved nothing more than spending time with friends and family near or in the water. When it came to spending time with his family he enjoyed sharing meals and a piece of coconut cream pie with his kids and grand kids. Of course he was the life of the party! He always made us laugh, always, even if it was at our own expense. We never questioned his desire for our happiness, his love and the importance to him of our success. Dad was a hard-working man expected the same of his children. And although mom and him parted ways, they maintained a strong, respectful and ‘real' friendship which is the best gift our parents could have given to us – this sounds cliche, it is not. Dad met his lovely wife Magda during one of his excursions to Costa Rica. They fell in love deeply and married 9 years ago. Magda will miss him terribly, but knows dad will be watching over her. Although many of his retired years were spent in different parts of the world, our bond with him was never broken. When he moved back to Colorado, he would often say “Life is not worth living without family, all the other stuff doesn’t matter”. It’s difficult to imagine him not being around. Dad’s grandchildren Jake, Savannah, Lexi, Joshua, Gavin, Ethan, Carter, Alec, Mason and most of all his little angel Gracie had grown very close to their grandpa and admired him. We are pretty sure the color of Daddy’s eyes turned a brighter shade of blue when baby Gracie entered his life, they had an indescribable connection. He loved his grandchildren dearly and spent time with them often. He would tell them before his passing “He was going to miss seeing them”. His presence lit up any room he entered and knew no stranger. Within minutes of meeting him, his new acquaintance would be laughing at his dumb jokes. They may even be sucked into buying one of his cars or helping out with one of his projects, at the very least, perhaps running an errand on his behalf. We always joked that he had nine-lives. Dad lived a long and happy life for the most part. He succumbed to ill health toward the latter part of his life and would joke “So these are the golden years”? However, he checked off every item on his bucket list and then some. The last few days of his life he said, “Me and God, we have our own relationship. God knew when it was time to sell those cars and that RV”. The day before his passing, he said “Everyone has a time, and today is my day”. Our father is an incredible soul that brought much joy and fulfillment too many and whose legacy and charm will live on forever. Provide comfort for the family of Thomas Allen Michnal by sending flowers.